The Tasmanian Museum and Art Gallery (TMAG) has today proudly launched the new iRemember In the Shed Memory Case at Queen Victoria Care in Lindisfarne, during Dementia Awareness Month. This free loan resource has been developed with funding support from the Australian Government’s Better Access to Palliative Care in Tasmania Program, through Palliative Care Tasmania’s ‘Networking End of Life Care’ Project. This is the second memory case developed by TMAG through an ongoing partnership with the Wicking Dementia Research and Education Centre in the University of Tasmania’s Faculty of Health Science. Queen Victoria Care residents have regularly used TMAG’s first memory case iRemember In the kitchen and residents were delighted to explore the new case today. The shed theme was chosen to complement the kitchen theme of the first case. 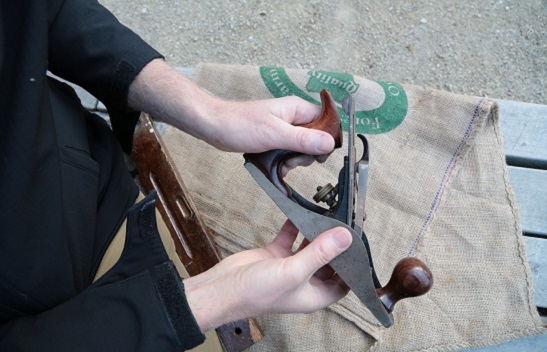 The 16 shed-related objects were carefully selected for their interactivity and ability to be handled and include a bicycle pump, an oil can, a brace hand drill, a hand plane, a hand reel and other objects. Both cases aims to assist people living with dementia and their friends, families, partners and carers to communicate more easily and enjoyably with each other. “It’s about encouraging the telling of stories and the sharing of memories, using real objects to stimulate conversation and remembering,” TMAG Director Janet Carding said. “This is a form of what is known as reminiscence therapy, and it provides a way to begin and continue conversations, to encourage people living with dementia to talk about their lives and to make connections with the people around them”. 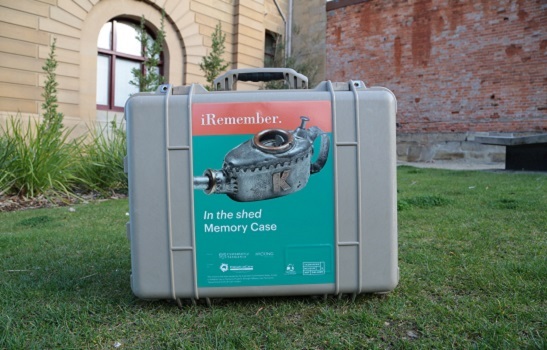 The iRemember In the shed Memory Case is now available to borrow from TMAG for a two week period by individuals and organisations in addition to the iRemember In the kitchen Memory Case. For more information or to book the cases, contact TMAG bookings. 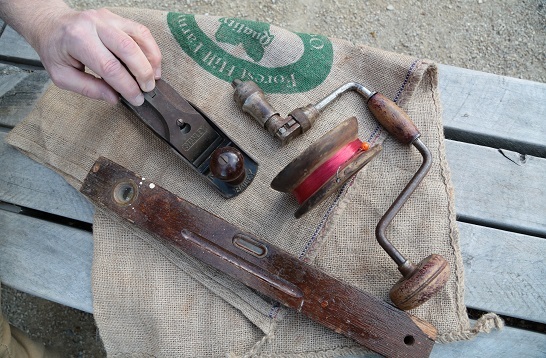 Images: Some of the objects included in the iRemember In the shed Memory Case.